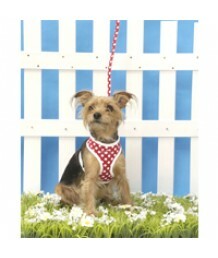 A smart harness in a soft cotton canvas. Comes with a matching lead. 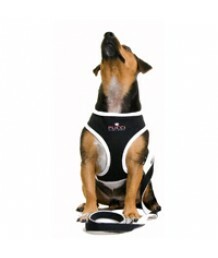 Black with white edg..
Made from breathable waffle material and complete with a matching lead, this comfortable harness ..
A soft, comfy, fully washable pink harness & matching lead. Size: XS ..
Soft, purple check harness with matching lead. 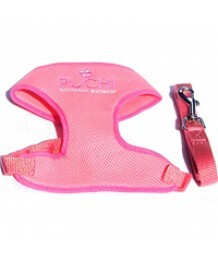 Size: Medium & Large (other sizes av..
A smart harness and lead for the dog about town. It supports the neck and shoulders.. 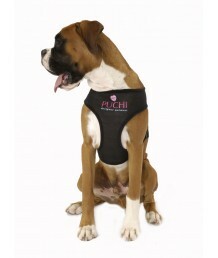 This Puchi harness provides the ultimate in comfort for your dog. It supports the neck and shoulders..